Awesome working with Lori and the entire sales team!!! I highly recommend buying from this dealership and will continue in the future. Lori has stayed on top of everything during the entire process!!! Some may say spending 5 plus hours at a auto dealership is 5 plus wasted hours you'll never get back. But I must say, my time spent at Bob Richards was very enjoyable. Great friendly staff and customers; plenty of free coffee, tea, and snacks. Did I mention that you get view some of the hottest cars and trucks out today. 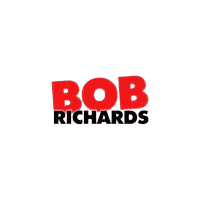 So Bob Richards thank for excellent service on my vehicle and excellent distraction for my sanity. Always a pleasure working with Christian in the service department. See you next week when the parts arrive to fix my AC! They are always on their A game for making sure you leave satisfied!!! They dont hesitate to all the hard work for you...It just makes sense! Always a pleasure working with Christian in the service department. See you next week when the parts for my truck arrive to fix my A/C. I had a great experience when purchasing my truck. Since then have had NOTHING but great experiences with the service department, the advisor I deal with the majority of the time always goes out of his way to make sure that my truck is taken care of.